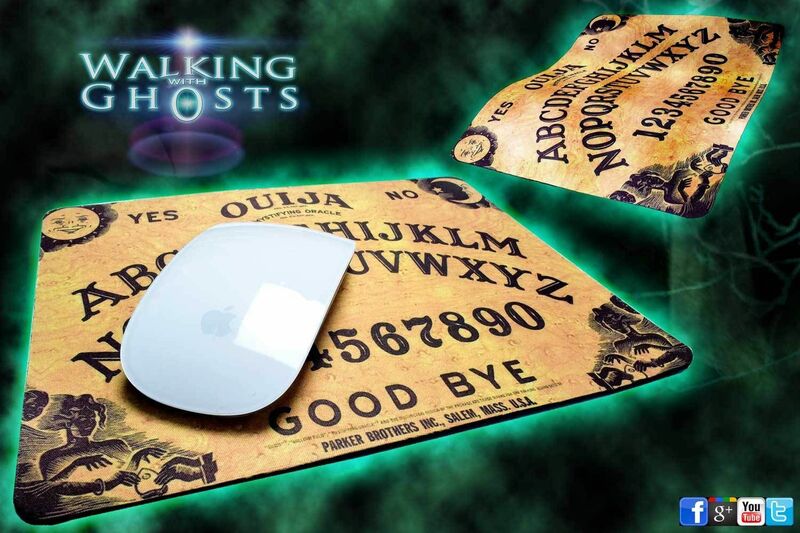 This fun mousemat comes in the form of a spooky Victorian style Ouija board with a traditional aged looking design with a sun and moon pictured at the corners. It features curved layout style alphabet & numbers 1-9 +0 and the words, Yes, No, Hello & Goodbye. The image is made to look aged and is printed onto a super thin polyester fabric that is bonded to a rubber non slip bottom layer . The finish gives a good easy glide mouse motion while maintaining a grip on the surface. Ideal gift for ghost hunters, goths and all lovers of the paranormal and unusual. Please note, this is a mouse mat, not! a Ouija board game. Following its commercial introduction by Elijah Bond in 1890, the Ouija board was regarded as a joyful little parlour game and was never intended to have any kind of dark or occult status. In fact it's original instructions were that two people had to balance the board on their knees while sitting face to face on chairs, they then had to balance unsupported hands on the planchette /pointer. This creates a physical micro movement muscle chain reaction that almost always resulted in movement of the pointer due to this balancing act. Questions would usually be based around courting couples and who found who attractive and such like. It was however later taken on by the spiritualist movement in the US as a divination tool around WW1 and the association of it connecting with spirits was took firm hold. Since then it has been the victim of mass religious hysteria and adopted by countless Hollywood films and books bringing it to its place as a fearsome gate way to hell. 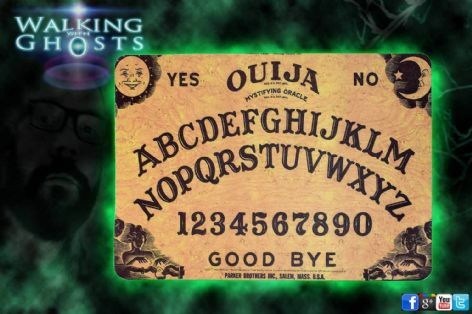 Several Christian groups including Roman Catholics states that "The Ouija/Spirit board" is a form of divination (seeking information from supernatural sources) so should not be done, this same opinion also extends to crystal balls, Tarot cards, and all other attempts to tell the future or talk to spirits. At one point Ouija boards were burned in New Mexico, by fundamentalist groups alongside Harry Potter books…LOL as symbols of witchcraft, expressing that they reveal information which should only be in God's hands. Clearly this was one of the best promotional stories they could have given and the boards shot back to popular use world wide, inspiring a whole new Hollywood movie resurgence on them. Hollywood movies and hysterical religious people have made the popularity of the spirit board. It is, of course! In reality, just a piece of cardboard or wood you could make at home or buy ready made from a factory. The product has no built in power's, It's the intention of connection by the person that makes a link if any, not the inanimate object. So we would suggest, if you don't want to talk to spirits or the dead don't do it, whether it be a board, cards, mirror scrying, calling out or any other form, they are all the same practice and carry the same intention. We still do however believe that because the Ouija Board is based on the involuntary sub conscious movements we make, that the mind may be open to external manipulation from forces, so further experimentation and investigation may well be worth exploring, especially combined with mediumship skills. It comes under the same category as glass divination and table tipping, as well as being good old fashioned spooky board game fun.